Scientific Evidence for Psychic Phenomena? New studies show people can anticipate future events. In Lewis Carroll's Through the Looking Glass, the White Queen tells Alice that in her land, "memory works both ways." Not only can the Queen remember things from the past, but she also remembers "things that happened the week after next." Alice attempts to argue with the Queen, stating "I'm sure mine only works one way...I can't remember things before they happen." The Queen replies, "It's a poor sort of memory that only works backwards." How much better would our lives be if we could live in the White Queen's kingdom, where ours memory would work backwards and forewords? For instance, in such a world, you could take an exam and then study for it afterwards to make sure you performed well in the past. Well, the good news is that according to a recent series of scientific studies by Daryl Bem, you already live in that world! Dr. Bem, a social psychologist at Cornell University, conducted a series of studies that will soon be published in one of the most prestigious psychology journals (Journal of Personality and Social Psychology). Across nine experiments, Bem examined the idea that our brain has the ability to not only reflect on past experiences, but also anticipate future experiences. 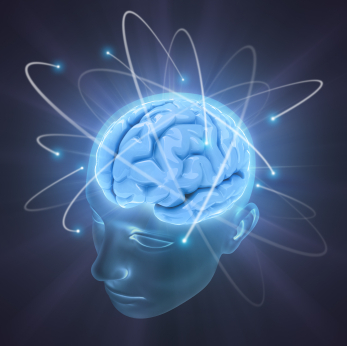 This ability for the brain to "see into the future" is often referred to as psi phenomena. 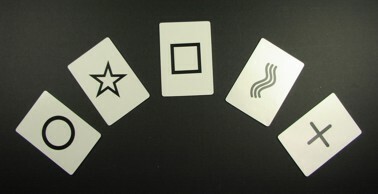 Although prior research has been conducted on the psi phenomena - we have all seen those movie images of people staring at Zener cards with a star or wavy lines on them - such studies often fail to meet the threshold of "scientific investigation." However, Bem's studies are unique in that they represent standard scientific methods and rely on well-established principles in psychology. Essentially, he took effects that are considered valid and reliable in psychology - studying improves memory, priming facilitates response times - and simply reversed their chronological order. For example, we all know that rehearsing a set of words makes them easier to recall in the future, but what if the rehearsal occurs after the recall? In one of the studies, college students were given a list of words and after reading the list, were given a surprise recall test to see how many words they remembered. Next, a computer randomly selected some of the words on the list as practice words and the participants were asked to retype them several times. The results of the study showed that the students were better at recalling the words on the surprise recall test that they were later given, at random, to practice. According to Bem, practicing the words after the test somehow allowed the participants to "reach back in time to facilitate recall." In another study, Bem examined whether the well-known priming effect could also be reversed. In a typical priming study, people are shown a photo and they have to quickly indicate if the photo represents a negative or positive image. If the photo is of a cuddly kitten, you press the "positive" button and if the photo is of maggots on rotting meat, you press the "negative" button. A wealth of research has examined how subliminal priming can speed up your ability to categorize these photos. Subliminal priming occurs when a word is flashed on the computer screen so quickly that your conscious brain doesn't recognize what you saw, but your nonconscious brain does. So you just see a flash, and if I asked you to tell me what you saw, you wouldn't be able to. But deep down, your nonconscious brain saw the word and processed it. In priming studies, we consistently find that people who are primed with a word consistent with the valence of the photo will categorize it quicker. So if I quickly flash the word "happy" before the kitten picture, you will click the "positive" button even quicker, but if I instead flash the word "ugly" before it, you will take longer to respond. This is because priming you with the word "happy" gets your mind ready to see happy things. In Bem's retroactive priming study, he simply reversed the time sequence on this effect by flashing the primed word after the person categorized the photo. So I show you the kitten picture, you pick whether it is positive or negative, and then I randomly choose to prime you with a good or bad word. The results showed that people were quicker at categorizing photos when it was followed by a consistent prime. So not only will you categorize the kitten quicker when it is preceded by a good word, you will also categorize it quicker when it is followed by a good word. It was as if, while participants were categorizing the photo, their brain knew what word was coming next and this facilitated their decision. These are just two examples of the studies that Bem conducted, but his other studies showed similar "retroactive" effects. 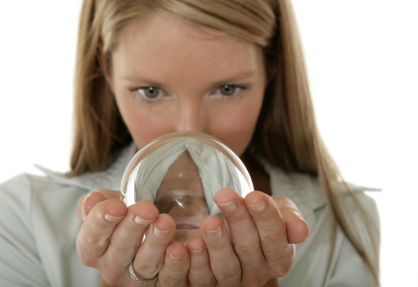 The results clearly suggest that average "non-psychic" people seem to be able to anticipate future events. One question you may be asking is how big of a difference was there? Does studying for a test after it has occurred, or priming you with a word after categorizing the photo make a dramatic change, or is it just a slight bump in performance? Essentially, these are questions of "effect size." It is true that the effect sizes in Bem's studies are small (e.g., only slightly larger than chance). However, there are several reasons why we shouldn't just disregard these results based on small, but highly consistent, effect sizes. First, across his studies, Bem did find that certain people demonstrate stronger effects than others. In particular, people high in stimulus seeking - an aspect of extraversion where people respond more favorably to novel stimuli - showed effect sizes nearly twice the size of the average person. This suggests that some people are more sensitive to psi effects than others. Second, small effect sizes are not that uncommon in psychology (and other sciences). For example, on average, the Bem studies showed an effect size of .20 (out of a possible range of 0-1). Although that is fairly small, it is as large as or larger than some well-established effects, including the link between aspirin and heart attack prevention, calcium intake and bone mass, second hand smoke and lung cancer, and condom use and HIV prevention (Bushman & Anderson, 2001). And as Cohen has pointed out, such small effect sizes are most likely to occur in the early stages of exploring a topic, when scientists are just starting to discover why the effect occurs and when it is most likely to occur. So if we accept that these psi phenomena are real, how then can we explain them without throwing out our entire understanding of time and physics? Well, the truth is that these effects are actually pretty consistent with modern physics' take on time and space. For example, Einstein believed that the mere act of observing something here could affect something there, a phenomenon he called "spooky action at a distance." Similarly, modern quantum physics has demonstrated that light particles seem to know what lies ahead of them and will adjust their behavior accordingly, even though the future event hasn't occurred yet. For example, in the classic "double slit experiment," physicists discovered that light particles respond differently when they are observed [for a simple explanation of this experiment, see this video]. But in 1999, researchers pushed this experiment to the limits by asking "what if the observation occurred after the light particles were deployed." Surprisingly, they found the particles acted the same way, as if they knew they were going to be observed in the future even though it hadn't happened yet [for more details on this experiment see this wiki entry]. Such trippy time effects seem to contradict common sense and trying to make sense of them may give the average person a headache, but physicists have just had to accept it. As Dr. Chiao, a physicist from Berkeley once said about quantum mechanics, "It's completely counterintuitive and outside our everyday experience, but we (physicists) have kind of gotten used to it." So although humans perceive time as linear, it doesn't necessarily mean it is so. And as good scientists, we shouldn't let out preconceived beliefs and biases influence what we study, even if these preconceived beliefs reflect our basic assumptions about how time and space work. Like many novel explorations in science, Bem's findings may have a profound effect on what we know and have come to accept as true. But for some of you, perhaps these effects are not such a big surprise, because somewhere deep down inside, you already knew you would be reading about them today! The article referenced above in the suggested reading section from Psychology Today on the precognition research of Cornell psychologist Daryl Bem created a stir in the scientific research community; It elicited a negative response from James Alcock in the Skeptical Inquirer which then prompted a post from Dean Radin as well as a critique from Richard Wiseman including Bem's response.